Every person in the world today is affected by some form of packaging. Many people are not aware of the economic role and the value it has in the service industry, simply because they are not involved in the industry or they do not pay attention to the role the packaging has in getting the final product to them. 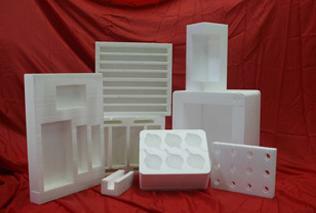 However, without packaging, the country`s Gross Domestic Product would suffer. This is because of the fact that products cannot be shipped from the producer to the retailer and ultimately to the consumer, without proper packaging. Packaging must be designed by using specific materials, made of different sizes and shapes, and packaging materials also must be very strong to resist shocks and hazards when the product is transferred. Packaging serves as a protection for the product, not only from transport and physical damages, but also from bacterial and microbial damages and climatic issues, like cold, moisture, heat, frost, etc. In this regard, especially relating to food products, packaging greatly reduces the waste of food. The packaging also serves as a way for identification, tracking and tracing of the product. Consumers today are well aware of the shelf life of the products and the product tractability to the manufacturer, which enables a quick product recall in case if the integrity of the product has been affected in a negative way. Although packaging only contributes a small portion of the country`s gross domestic product and consequently of that – a small portion of waste, the packaging industry still impacts the present and the future of the planet and it has a big economic role to play. Humanity is well aware that the planet`s resources are greatly limited, so every effort counts in conserving our valuable resources. Today, many packaging companies across the world are affiliated with the World Packaging Organisation in order to increase the economic benefits for the countries. Packaging industries are also networked through other global organisations and all work towards the same goal – to reduce, recycle, recover, and renew the packaging materials so the world economies all benefit. At Vertapak we play our part in keeping packaging environmentally-friendly where we can and we are totally committed to the benefits of recycling. 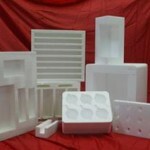 Companies can use biodegradable packing peanuts. You can easily recognize these packing peanuts because they come in green colour and they are made from environmentally-friendly materials. It is also a good idea to reuse the packing peanuts. Simply store them in a plastic bag and use them whenever you are mailing a package. Ask businesses whether they need packing peanuts. 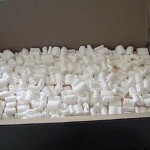 Many businesses that ship products would like to take packing peanuts. Replace gravel in planters with packing peanuts made of polystyrene. This will give you great drainage and make the planters much easier to move and lift. Make the perfect pillow for your dog/pet. This will be a great item for any pet owner. Take a pillowcase with a zipper and stuff it with these packing peanuts. This is the perfect, comfy cushion for the pet. On top of that, these packing peanuts provide great air flow. 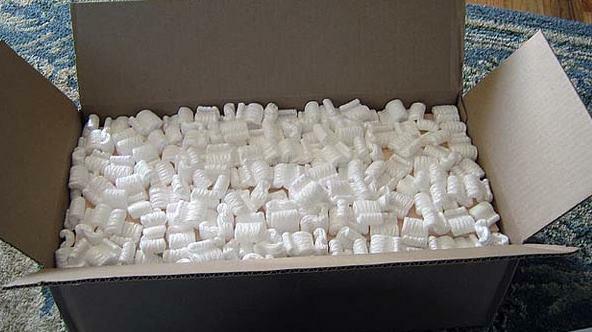 Use packing peanuts to refill your bean bag chairs. Use them for a child’s Halloween costume. It is very easy to sew these packing peanuts and use them to create effects on your costume like toned muscles or fat bellies. You can have lots of fun with your kids creating something like this. We hope we’ve given you some ideas!